What Does ‘Recommend This Content’ Do? Home | What Does ‘Recommend This Content’ Do? 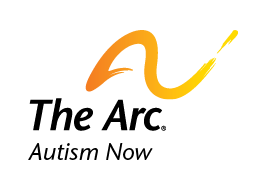 On the Autism NOW Center website, you’ll see a small button at the bottom of all of our pages, posts and articles that says, “Recommend this content.” You might be wondering what that does and why it’s there. When you click this button, it sends an anonymous notification to our Google Analytics account (which we use to track how many visitors use our site). We can see which pieces of content our website users find most valuable, thanks to this feature. So use this button to your advantage! We’re always looking for ways to gather feedback from you, and by clicking this button on the pages, posts and articles you like – you let us know which content helps you the most. We’ll use this data to make future decisions on website features and content. Date posted: July 9, 2012. Content created by The Autism NOW Center. Last updated: March 21, 2018.